Imagine living every day as if you were on vacation. 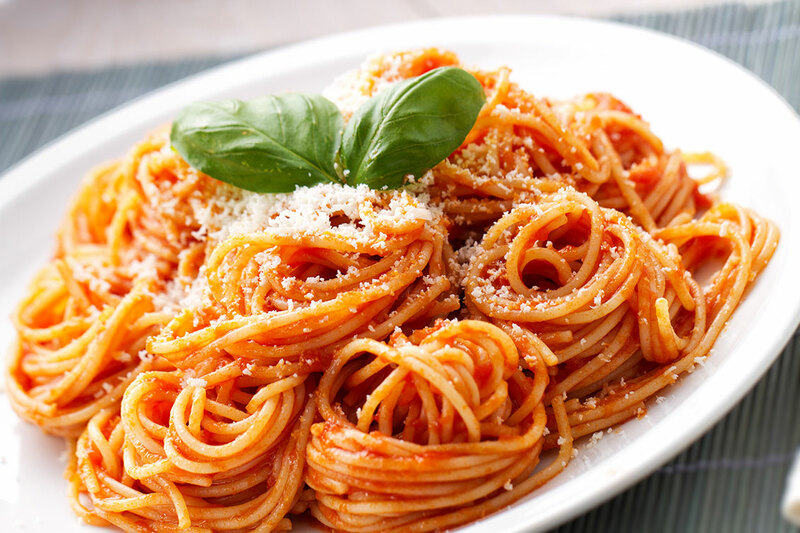 This dynamic community offers just that! 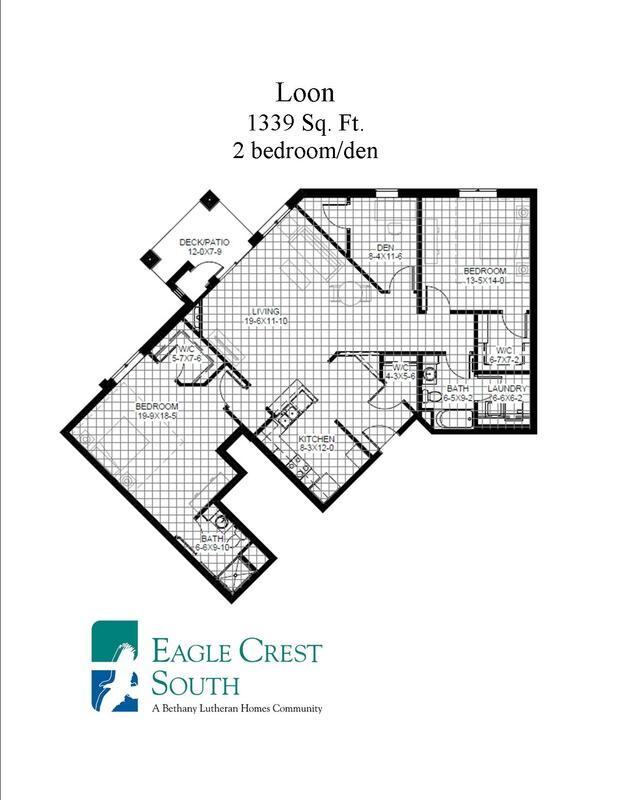 With luxurious features and fabulous town center amenities with every convenience and source of entertainment you can imagine, Eagle Crest South is designed to meet your needs today and tomorrow. A change in need or care does not have to signal a change in location. 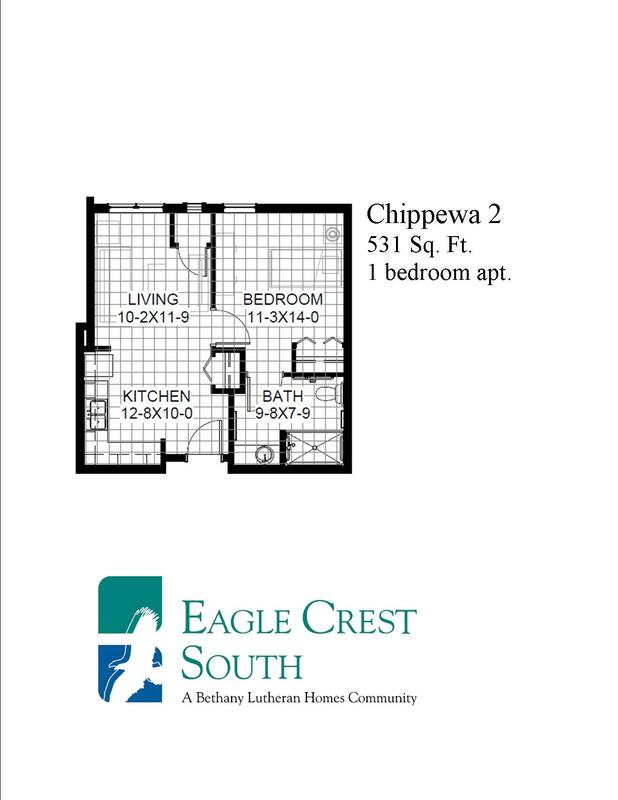 Eagle Crest South offers a “continuum of care.” To put it simply, this means a range of services are offered within this one community, including senior apartments, high acuity assisted living and memory care. Moving in does not mean sacrificing your independence, privacy, dignity or giving up your active lifestyle. 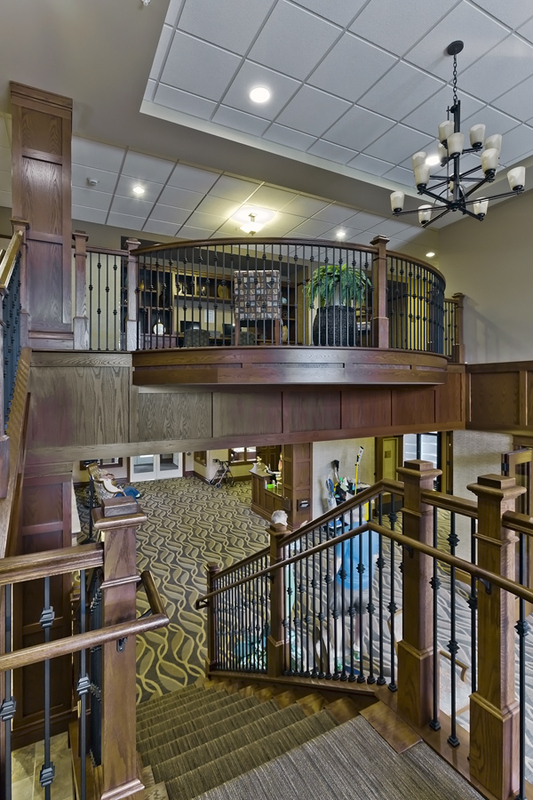 Your retirement is still yours to design, we are just here to help you along the way. 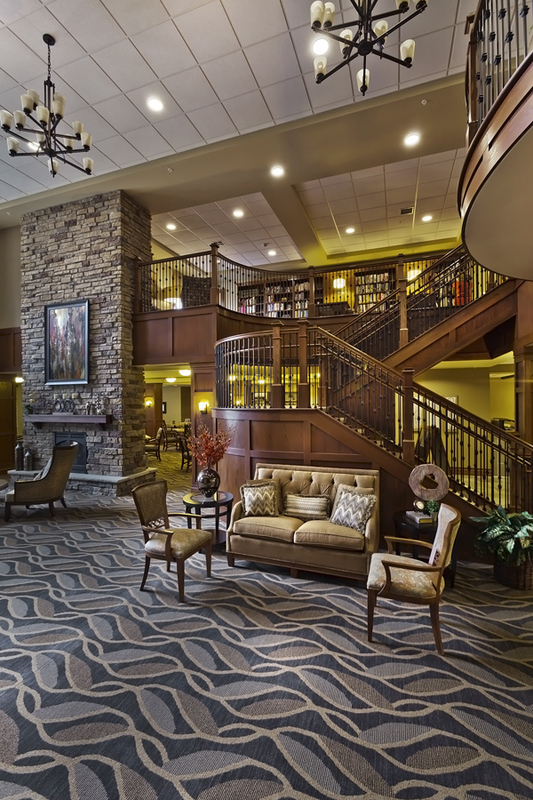 To promote a strong sense of community where friends come together to exercise, meet for lunch, see a movie or share some crafting ideas, Eagle Crest South offers an extraordinary town center that nurtures the whole person. 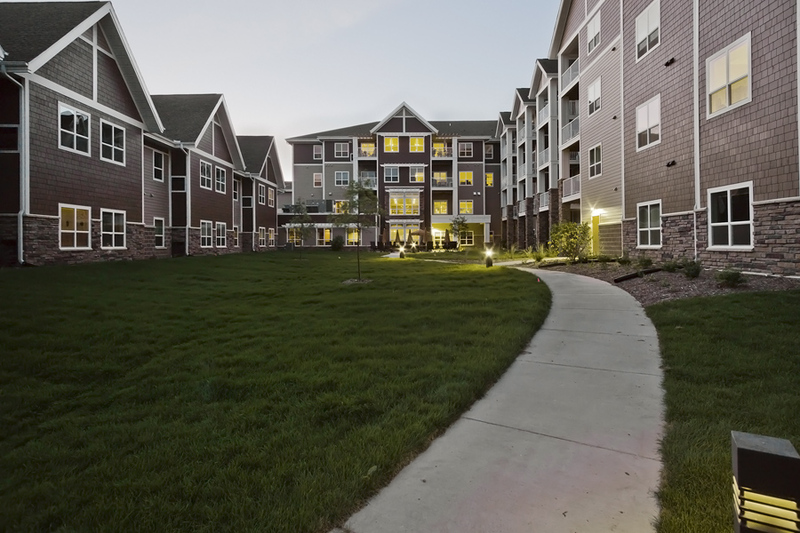 Whether seeking wellness, life-long learning, spirituality or fellowship, the Town Center is the hub of the community. 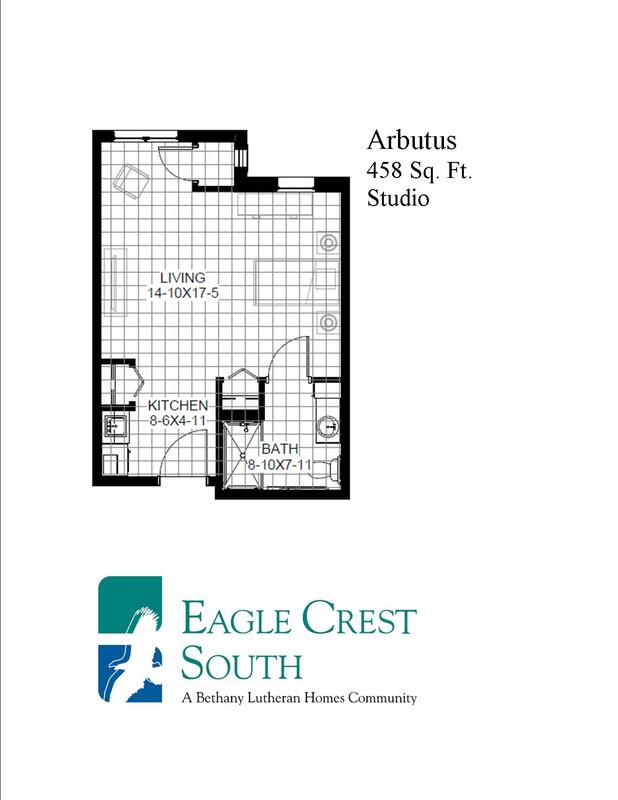 Eagle Crest South Senior Apartments—for those 55 and Better! 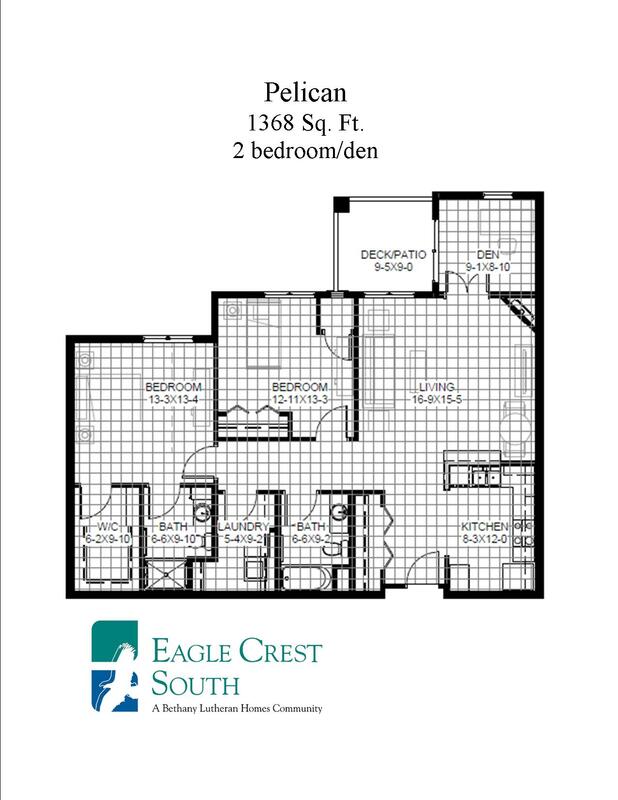 With fabulous amenities and low-maintenance living, every day is yours at Eagle Crest South. 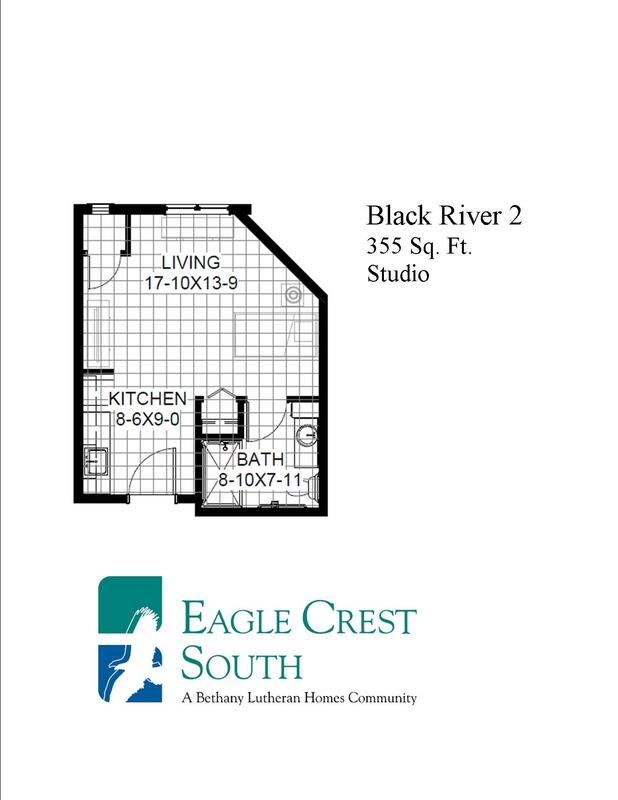 Thoughtfully crafted spacious one- and two-bedroom senior apartments feature a variety of bright, open floor plans with nine-foot ceilings, abundant windows, a generous living room for entertaining, a fully equipped kitchen and a scenic balcony. 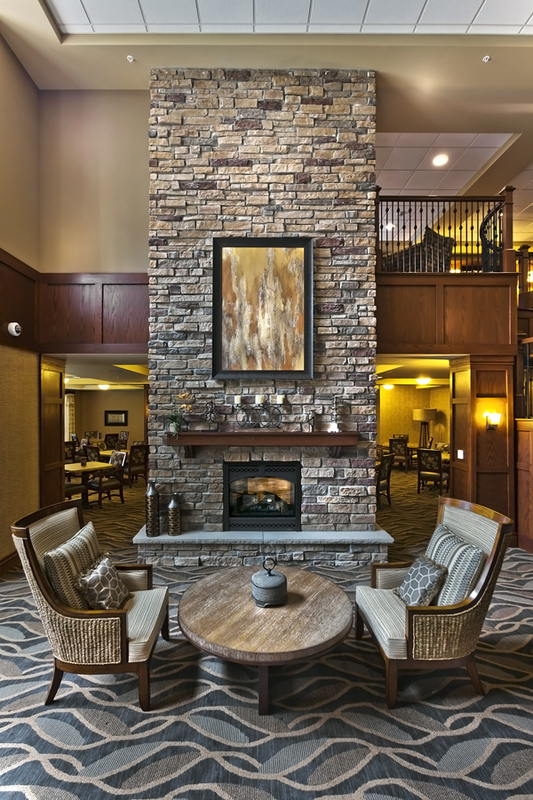 Every senior apartment includes generous walk-in closets and in-home washers and dryers; individualized floor plans offer distinctive features such as vaulted ceilings, a den or sunroom, electric fireplace and a breakfast bar. 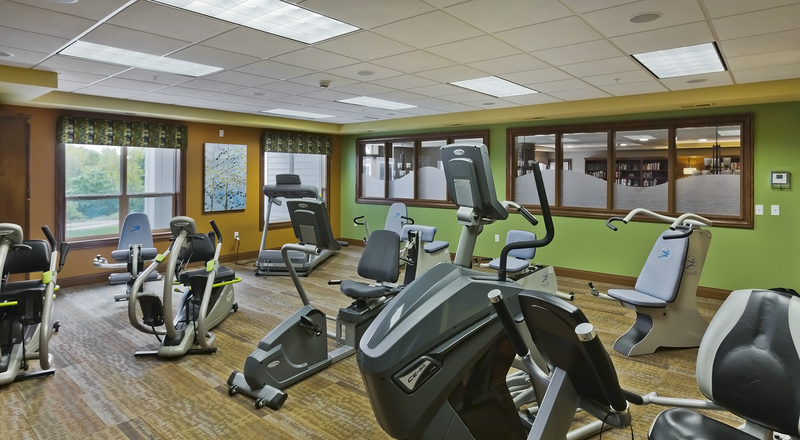 Exciting social calendars, exquisite culinary creations and an integrative wellness program ensures residents have what they need to continue their rich and fulfilling lives. 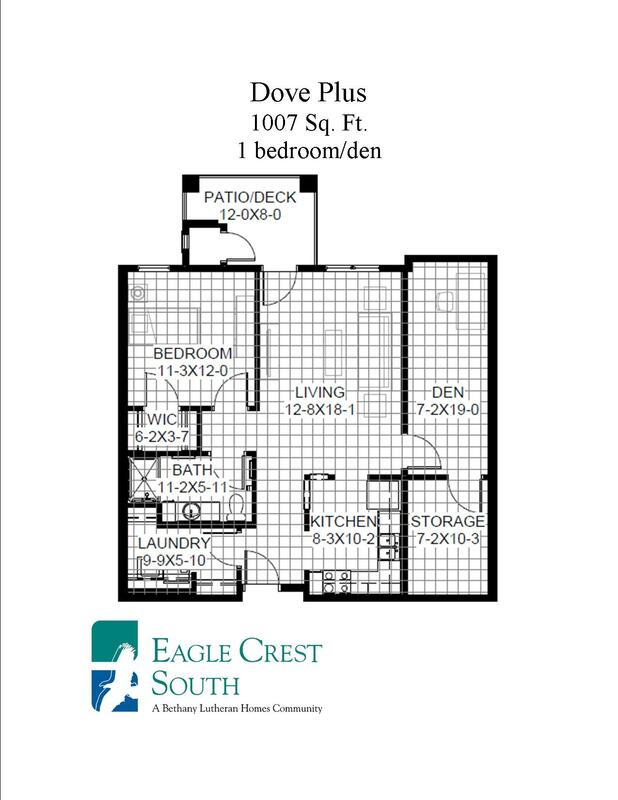 Enjoying the freedom to do whatever your heart desires each day is not only possible at Eagle Crest South, it’s encouraged. 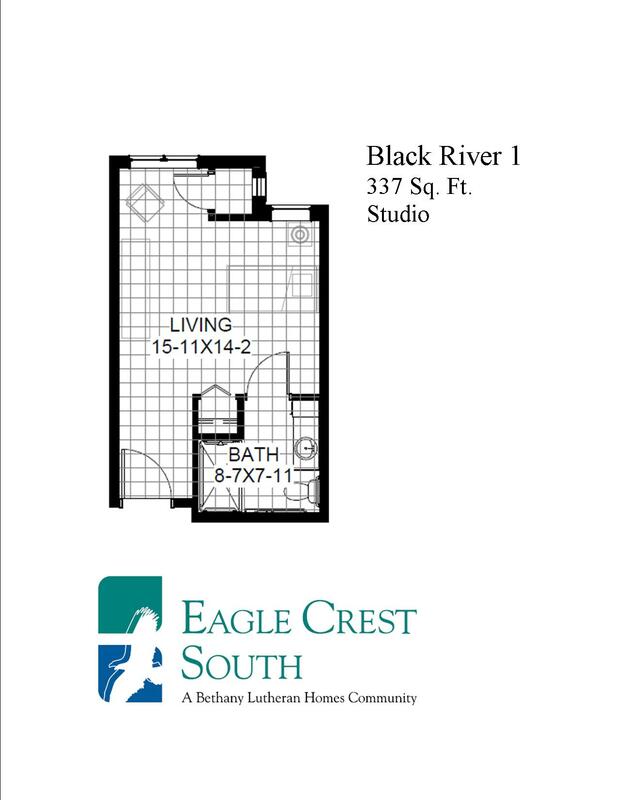 One Bedroom • 1119 sq. 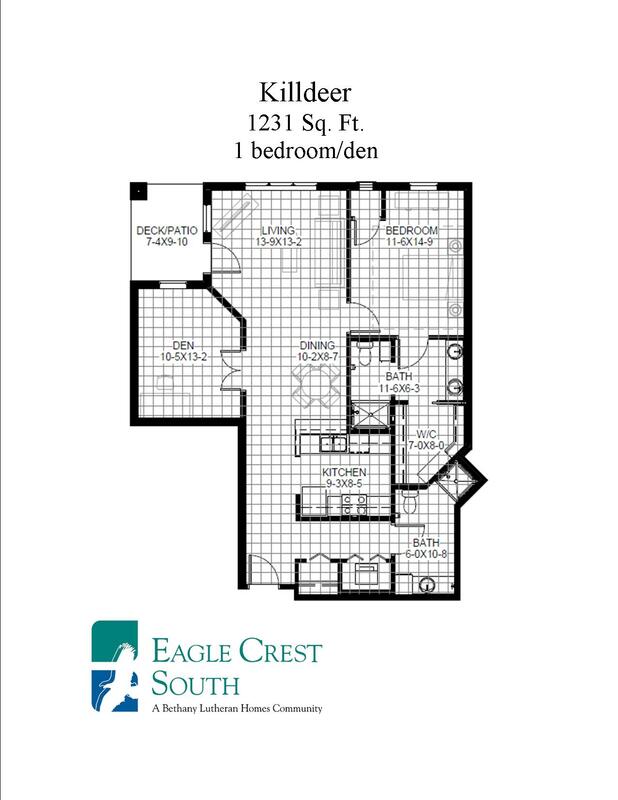 ft.
One Bedroom • 905 sq. 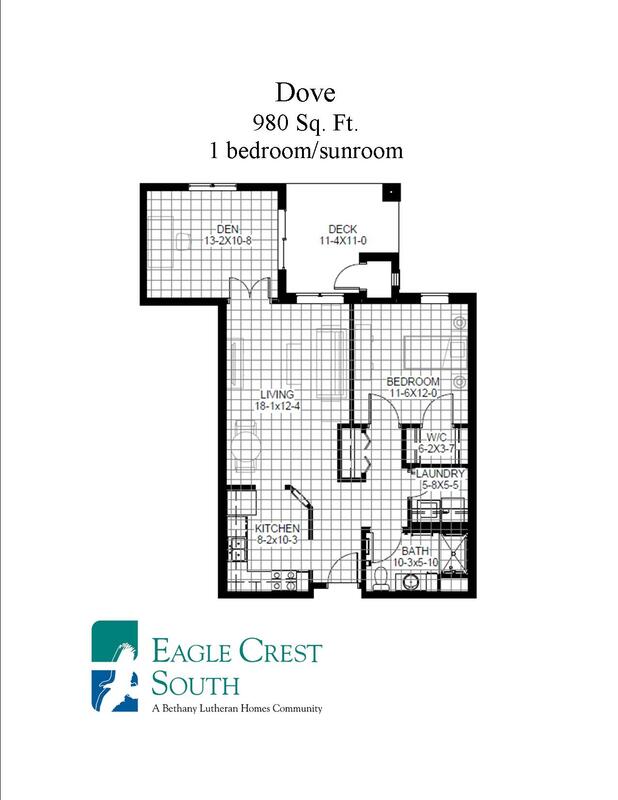 ft.
One Bedroom • 980 sq. ft.
One Bedroom • 1007 sq. 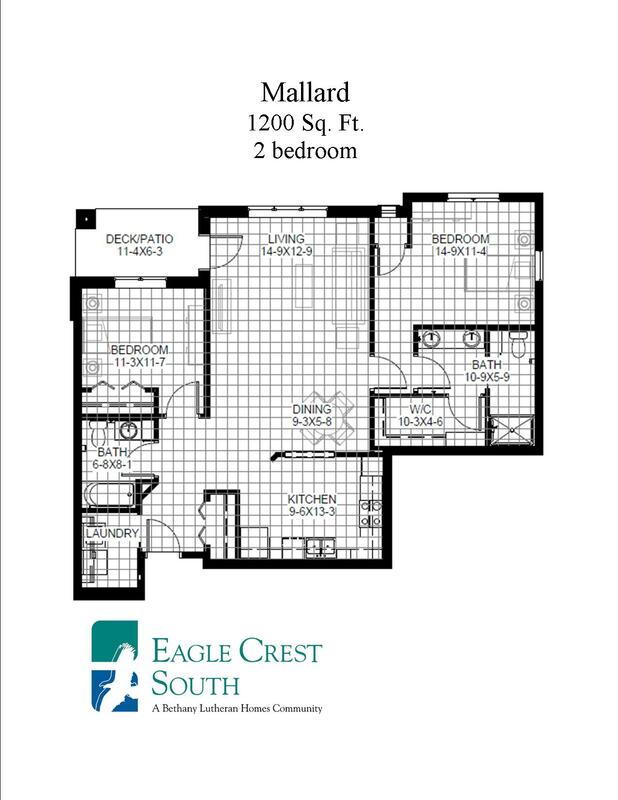 ft.
One Bedroom • 1231 sq. 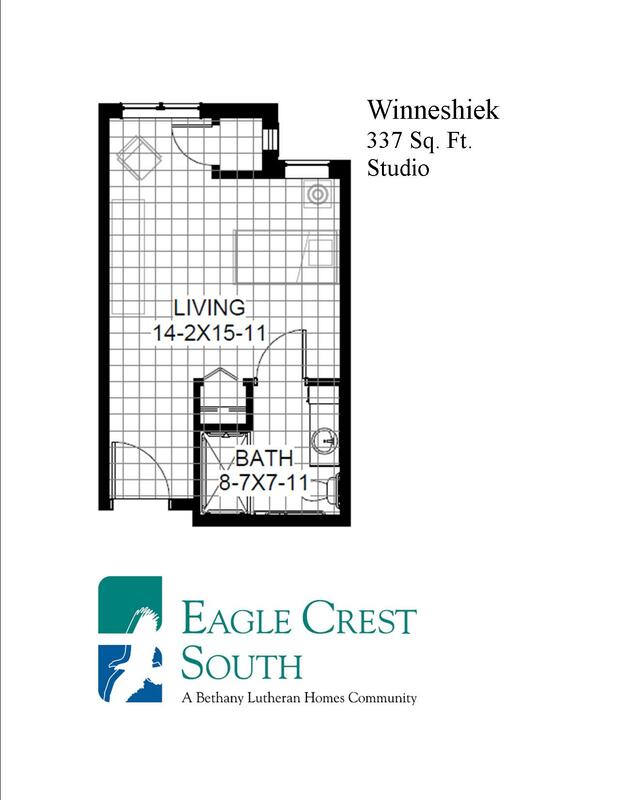 ft.
Two Bedroom • 1339 sq. 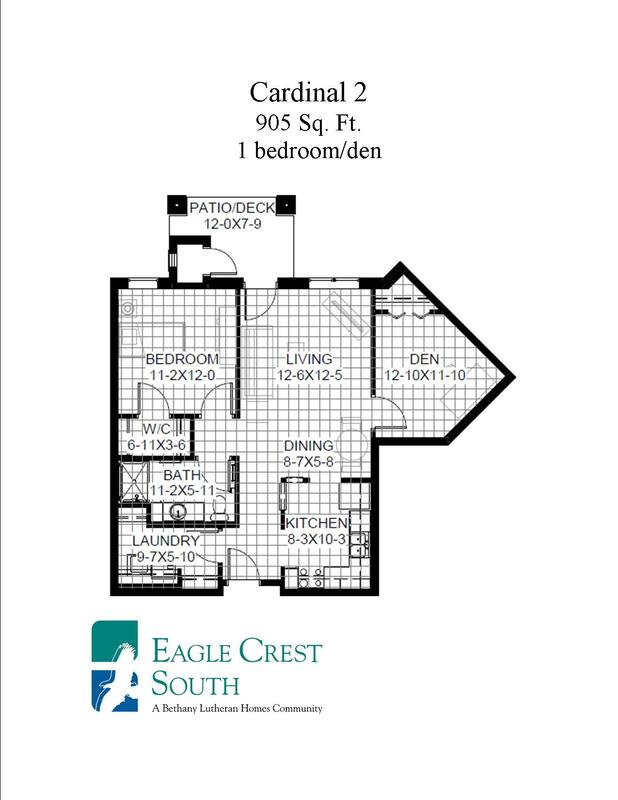 ft.
Two Bedroom • 1200 sq. 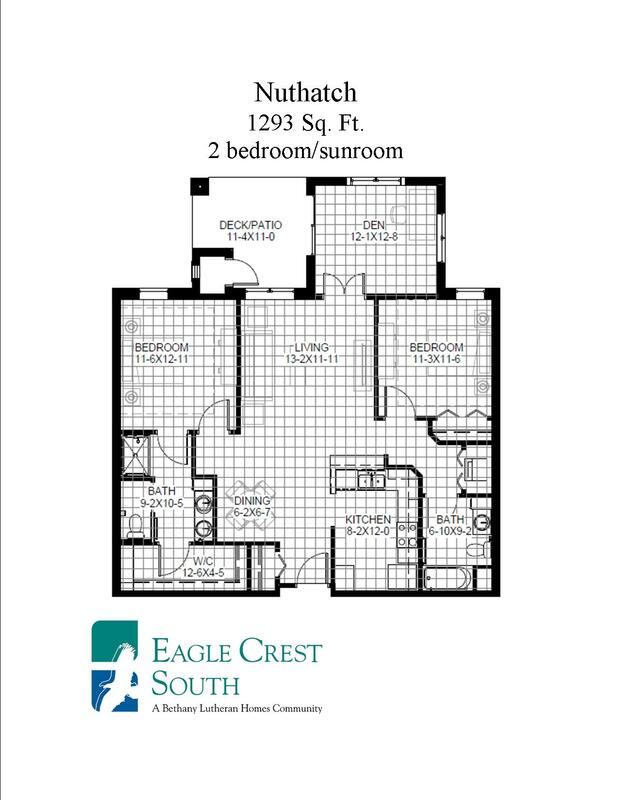 ft.
Two Bedroom • 1293 sq. 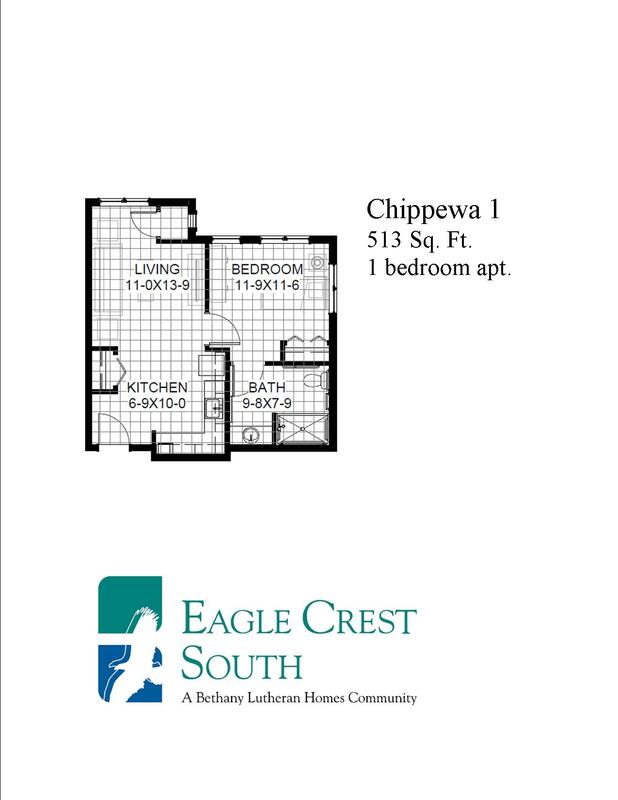 ft.
Two Bedroom • 1431 sq. 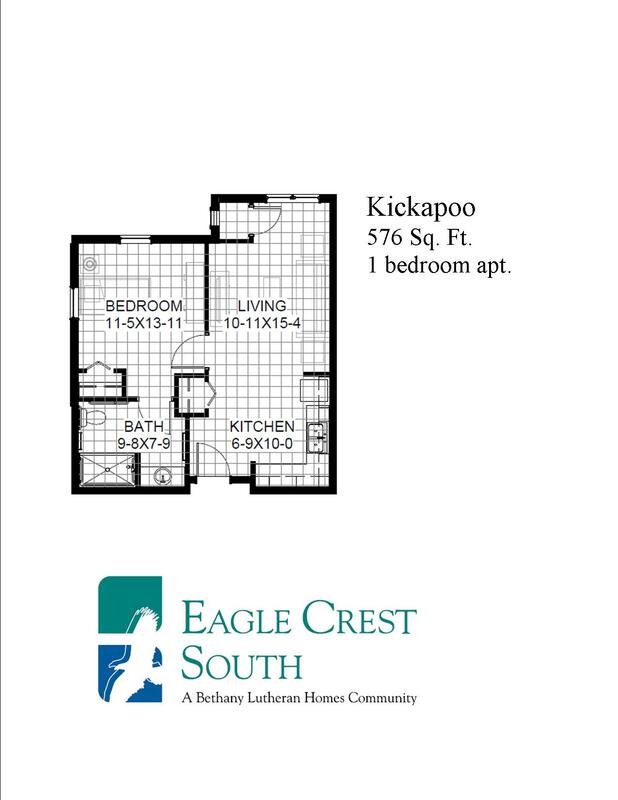 ft.
Two Bedroom • 1368 sq. 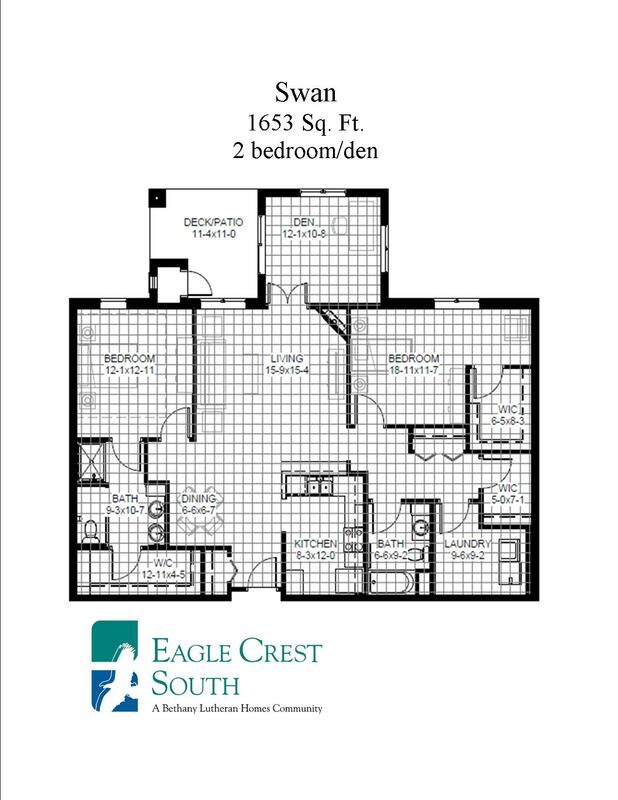 ft.
Two Bedroom • 1653 sq. 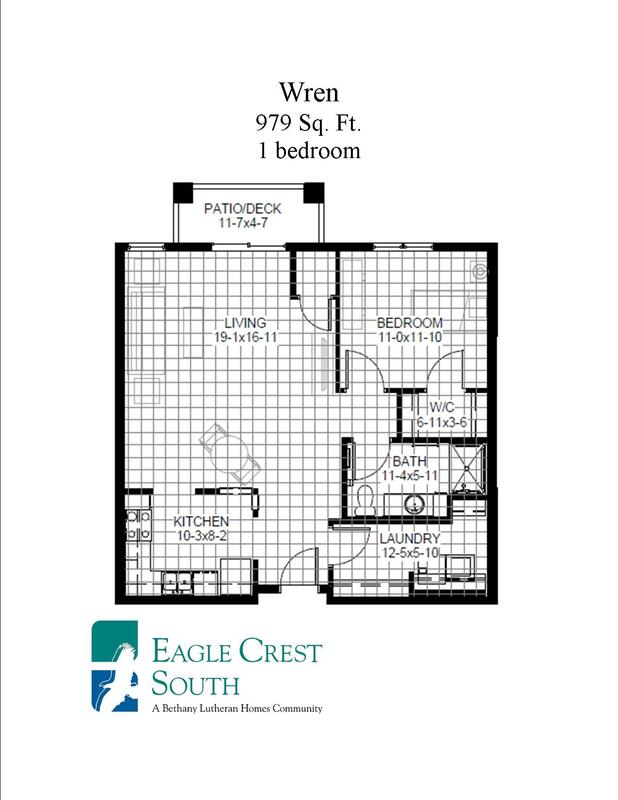 ft.
One Bedroom • 979 sq. 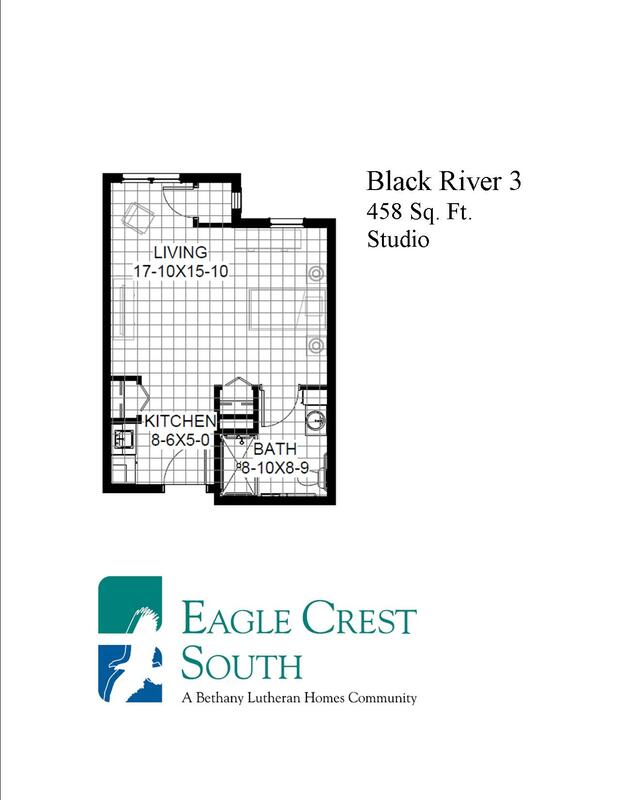 ft.
"My husband, Mike, and I moved into our apartment which has a lovely view of the river from the bedroom window. 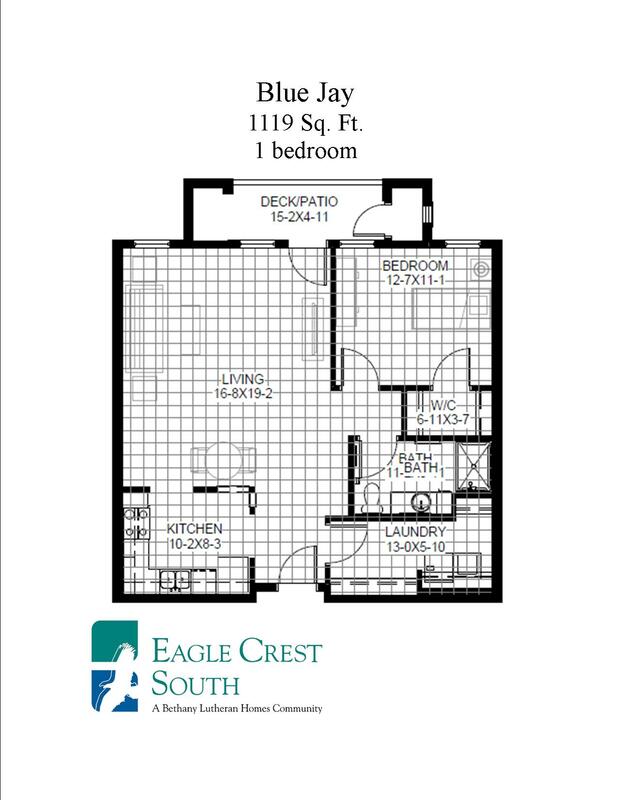 We find our apartment to be just the right size for us, and the layout works well, too. Mike enjoys having a den and both of us enjoy the kitchen, living room and bedroom. We also enjoy being able to walk in the halls in the winter and walk on the trail in good weather." 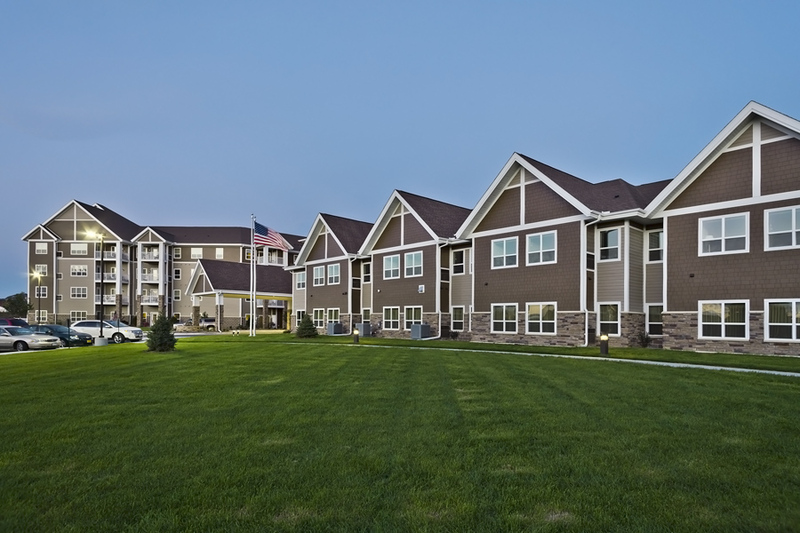 A new option in the community, High Acuity Assisted Living is uniquely designed to accommodate those whose needs are greater than care available in traditional assisted living yet do not require care of a nursing home. 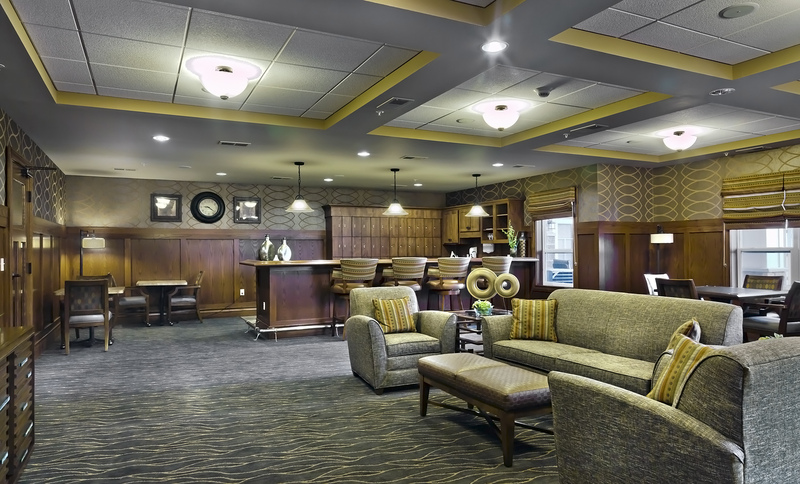 Customized services are designed to support clinically complex care in the privacy of one’s own apartment while living in a resort-style community. 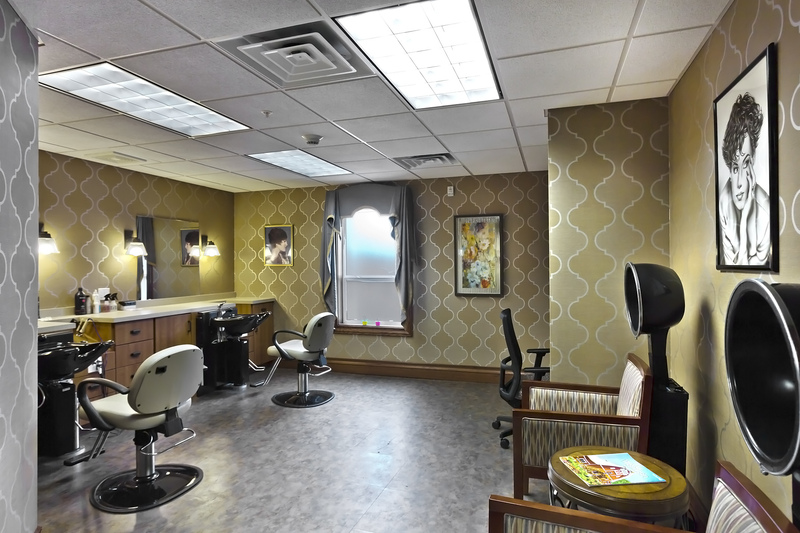 Our medical care is as unmatched as our luxury. 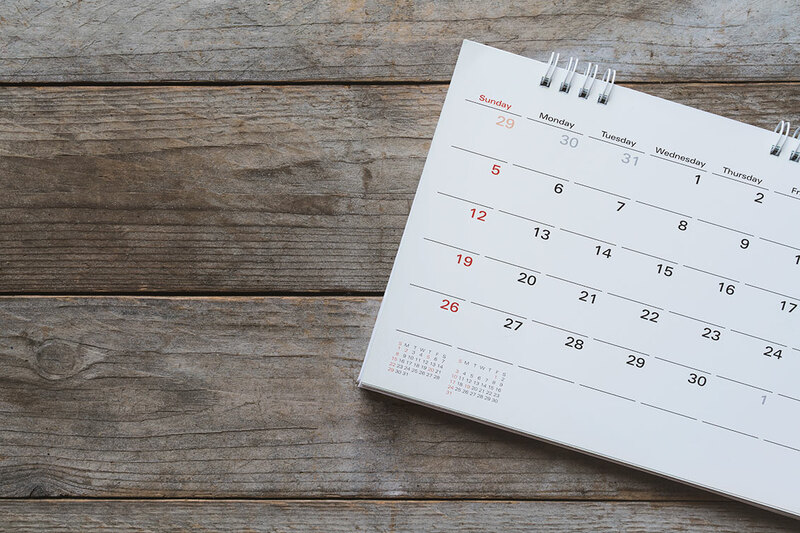 Our team of compassionate and highly-trained caregivers are on site around the clock, maintaining regular communication with an individual’s primary physician to providing hands-on support with all personal care needs specific to each individual. 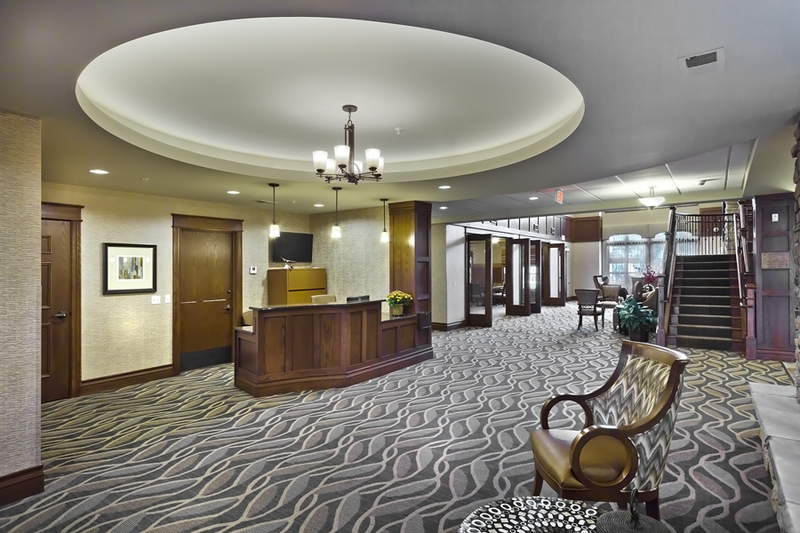 Delivery of medications and regular, friendly wellness checks throughout each day assure our residents’ safety and well-being, our primary concern. These sometimes-complex services will be almost invisible, as they will be provided in the comfort of a residents’ own apartment home. 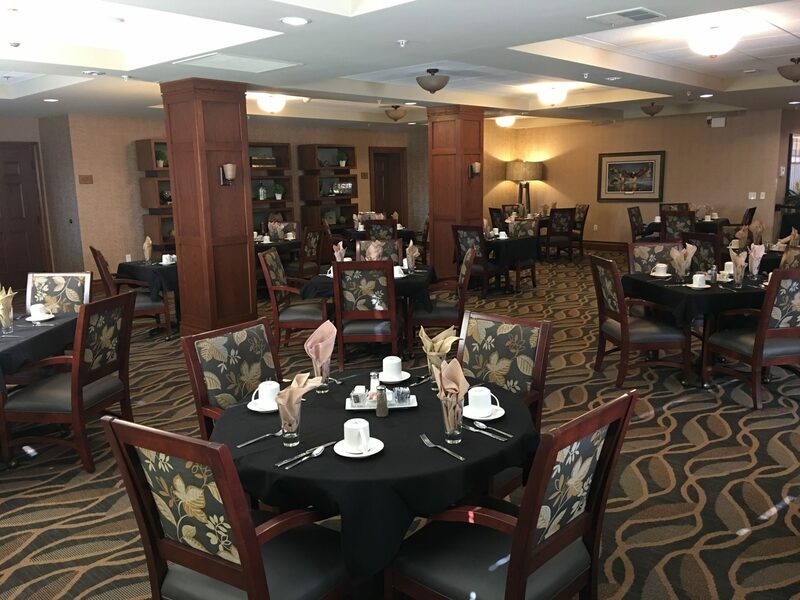 Restaurant-style dining offers an opportunity for lively and upbeat conversation with attention to special requests and dietary restrictions. 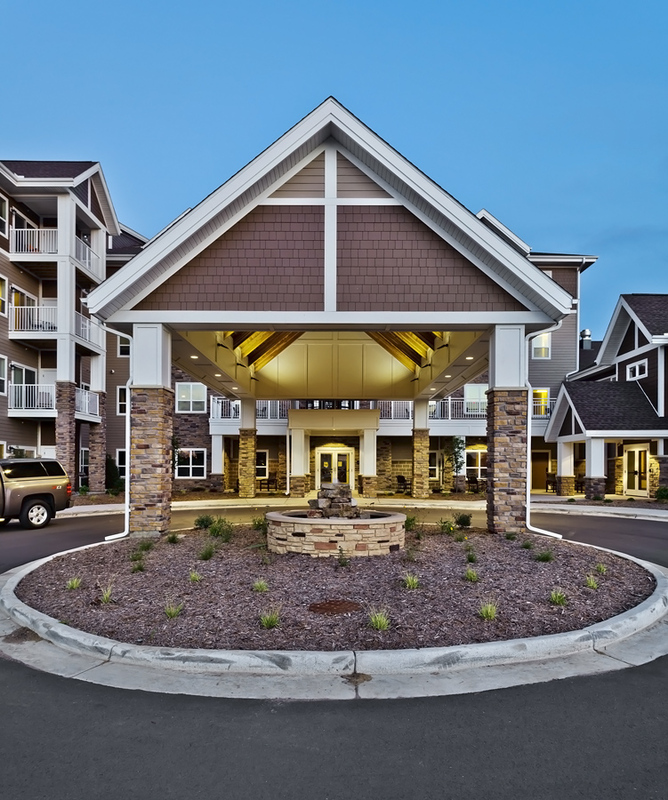 Our goal is for seniors to enhance their lives and their identities while providing the outstanding health care and health-related services for which Bethany Lutheran Homes is renowned. 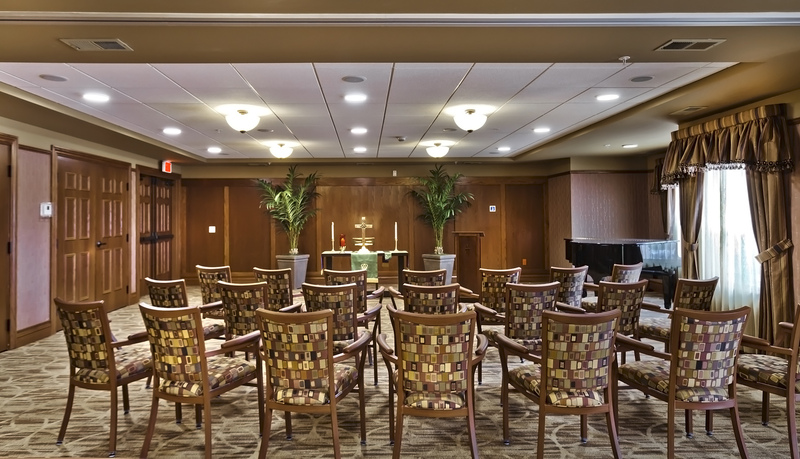 End of Life Care is respected and honored at all Bethany Lutheran Homes communities. 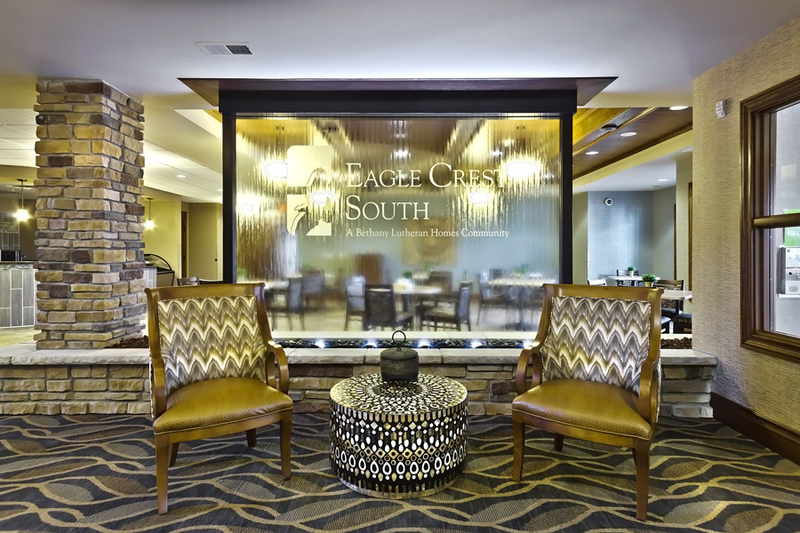 Eagle Crest South High Acuity Assisted Living specializes in such care, available to both current and new residents as an option for those who need extra support in their last weeks or months. 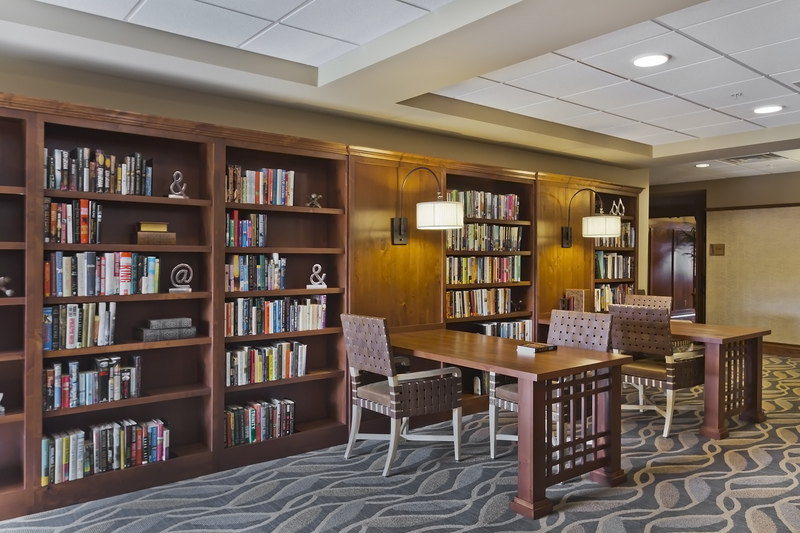 Working together with a hospice provider of choice, our team focuses on physical, psychological and spiritual needs, while offering families support and the opportunity to spend quiet, quality time with their loved one. Studio • 337 sq. ft. Studio • 355 sq. ft. Studio • 458 sq. 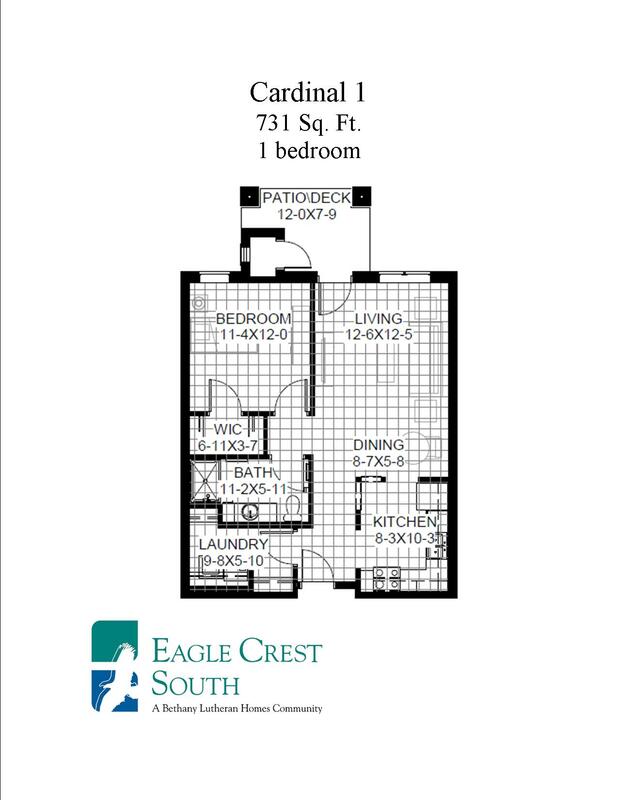 ft.
One Bedroom • 513 sq. 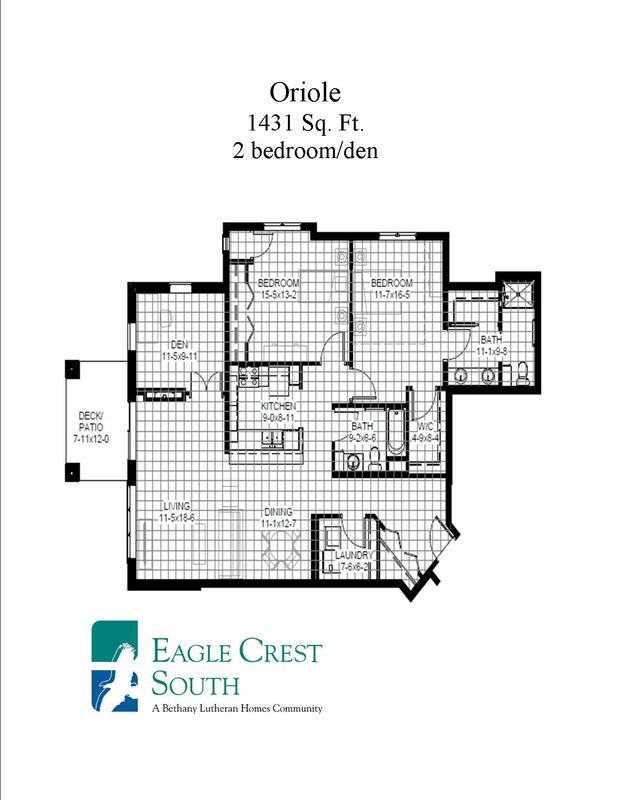 ft.
One Bedroom • 531 sq. 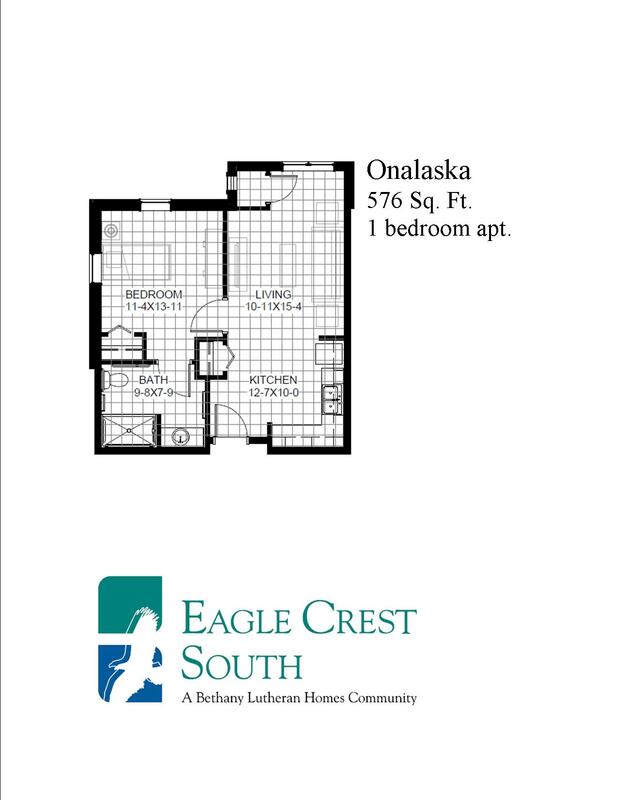 ft.
One Bedroom • 576 sq. 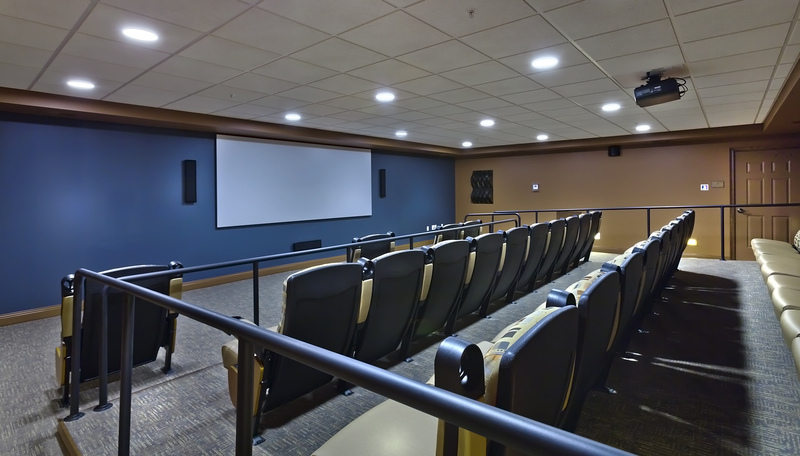 ft.
A charming neighborhood of studio and one-bedroom apartments surrounds a lively gathering area where daily conversation and activities come to life. A homey kitchen, family-style dining and an inviting living room with fireplace, provide a setting where all can relax and visit. 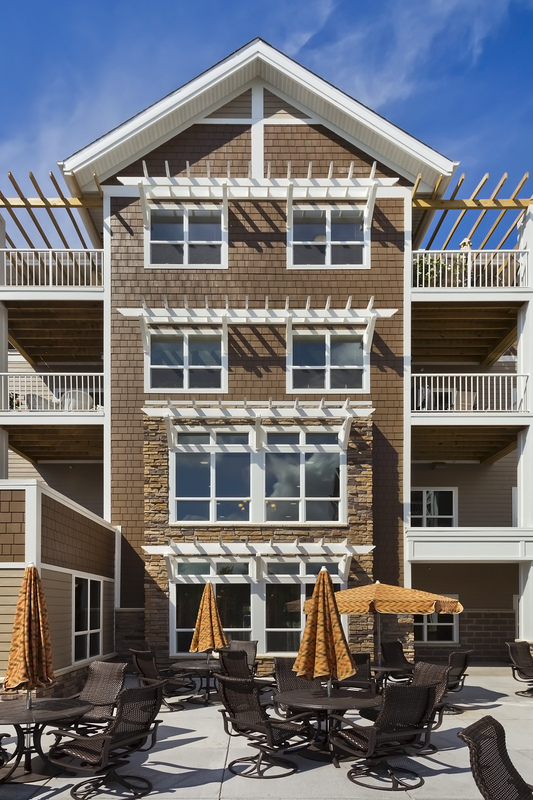 An enclosed courtyard promises fresh air, short walks and the natural beauty of the outdoors. 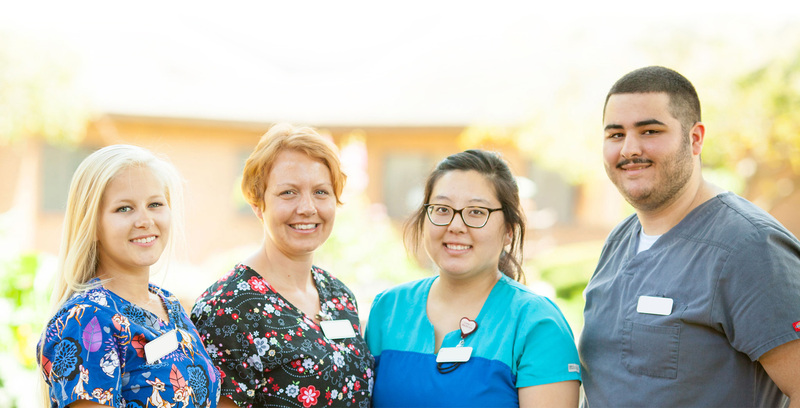 Our team of dementia-trained caregivers and licensed nurses provides 24-hour supportive care and encourages participation in daily tasks, self-care activities and life enrichment programs to foster a sense of continued purpose. 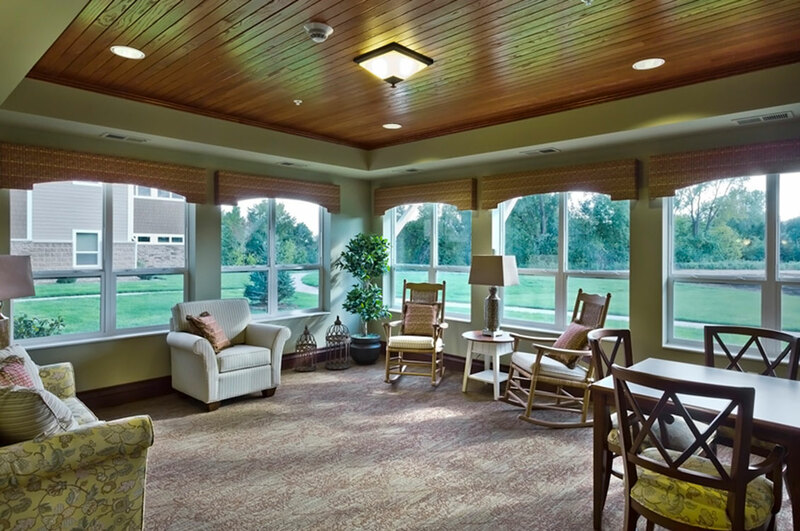 Complex nursing care combined with the need to live in a safe, secure community is our specialty at Eagle Crest South, where all stages of dementia are recognized and tended to, including during a person’s final days. 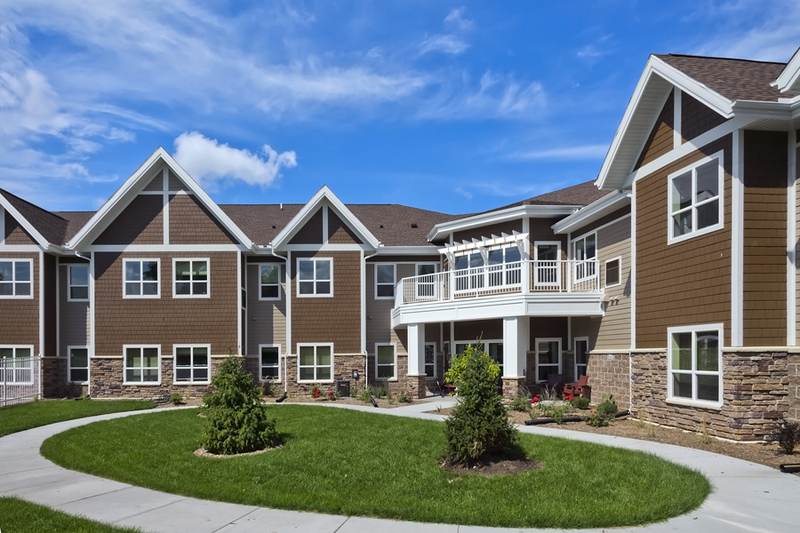 Our commitment to help individuals and their families living with the difficult challenges of memory care has been Bethany Lutheran Homes’ specialty and gift to our community for over 25 years.